TORONTO , Feb. 8, 2019 /CNW/ - FSD Pharma Inc.(CSE: HUGE) (OTCQB: FSDDF) (0K9.F) a licensed producer under the Cannabis Act, responded today to a press release by its former partner, Auxly Cannabis Group Inc. ("Auxly") to correct misleading claims. 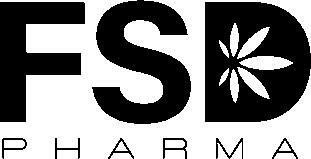 FSD Pharma strongly denies that it caused any breaches of the Streaming Agreement relating to its management and staffing obligations or otherwise, and rejects the claim that there are material issues with the infrastructure of its cultivation facility in Cobourg, Ontario . "FSD's Board and management team are focused on taking action to deliver on a strategy that promotes growth and creates shareholder value. Our work is guided by our drive to capitalize on the opportunities before us in this exciting space and ensure that our efforts serve the strategic and operational goals of the business. As disclosed on Wednesday, February 6 , FSD terminated the Definitive Agreement with Auxly. FSD believes that Auxly was under clear obligation to develop all aspects of the Company's cannabis cultivation facility in mutually agreed upon staged phases. Auxly issued a press release on July 3, 2018 in which they anticipated that the first phase of construction would be completed and ready for Health Canada approval by the end of December 2018. We simply couldn't wait any longer for our vendor to perform its obligations and therefore we terminated the agreement," said Dr Raza Bokhari , Executive Co-chairman & Interim CEO . Dr. Bokhari continued, "under the terms and conditions of the Streaming Agreement, FSD Pharma and Auxly are subject to a number of non-disclosure obligations that survive the termination. FSD Pharma intends to continue to live up to its surviving obligations, we are hopeful that Auxly will do the same."